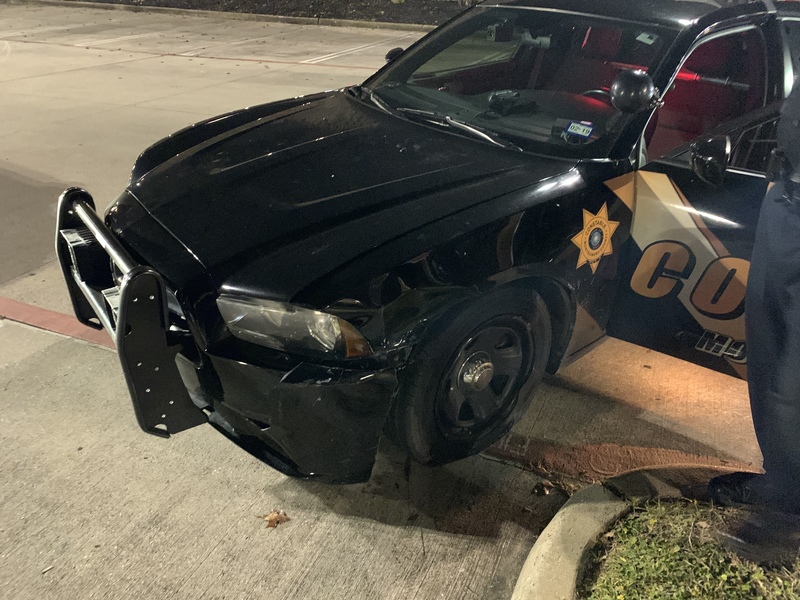 Tuesday evening a Montgomery County Precinct 2 Deputy Constable was westbound on West Davis near I-45 in the right lane. 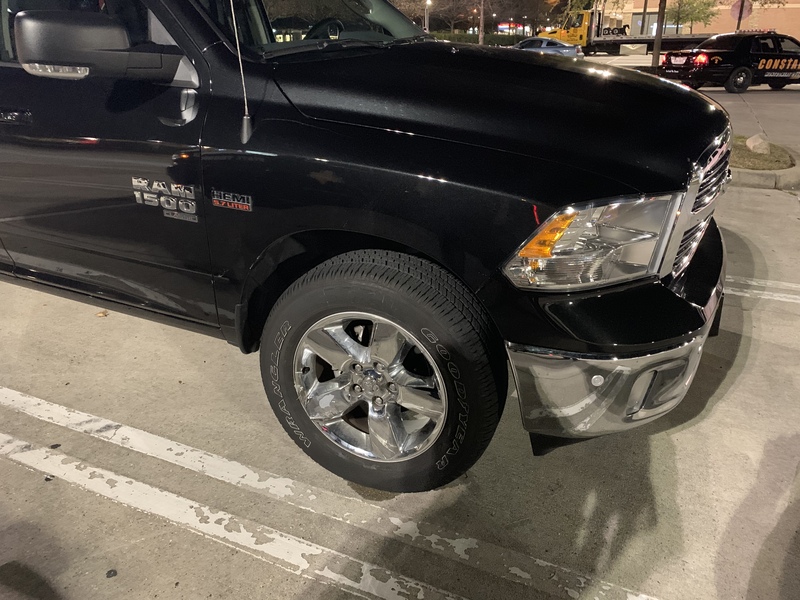 A man visiting from Norway had just arrived in town and rented a new Dodge Ram pickup and was also westbound in the second lane. The driver of the pickup did not see the patrol and moved to the right lane. 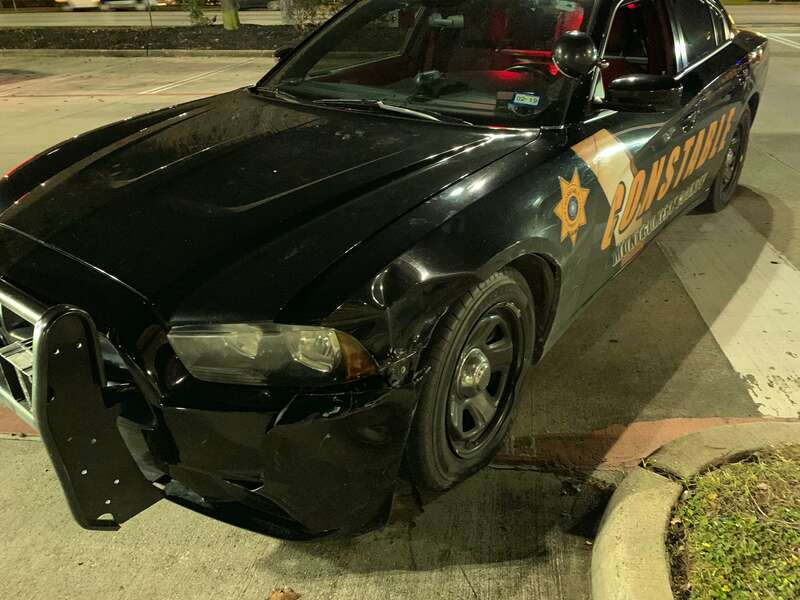 When he did the right front of the pickup drove up and over the left front of the patrol unit. 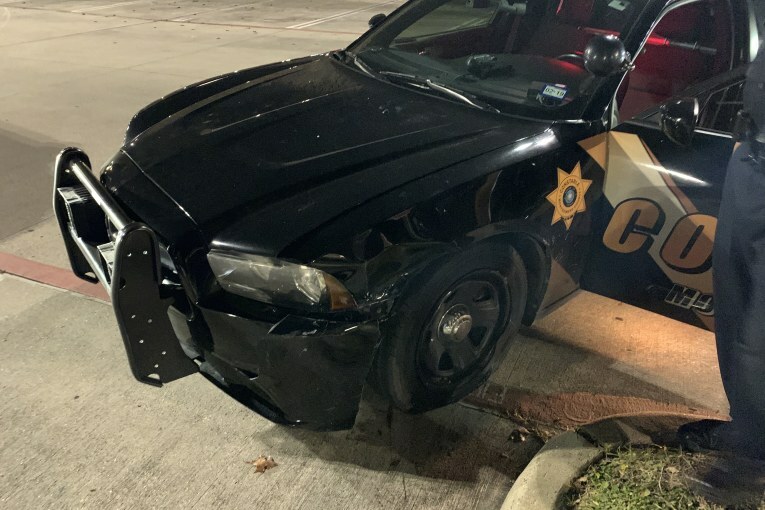 The deputy suffered a shoulder injury. There was almost no damage done to the pickup.